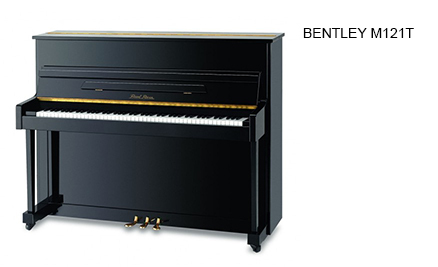 Manufactured in the award winning Pearl River factory in China. Twice recipient of the MIA/Classic FM award. Suitability : Beginner to high intermediate level. The slightly bigger brother of the 115. Added string length for greater tone. 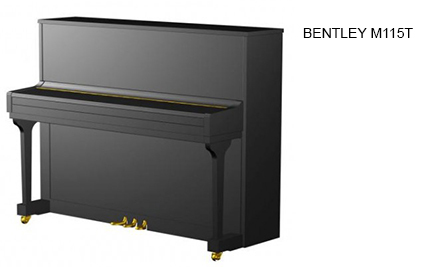 The biggest brother of the Bentley upright range. A particularly strong tone and a firm and responsive action. Suitability : Beginner to Advanced.